A veteran of the Canadian Armed Forces, Marc Hamel began jousting in 2006 at a local tournament in Quebec Canada. 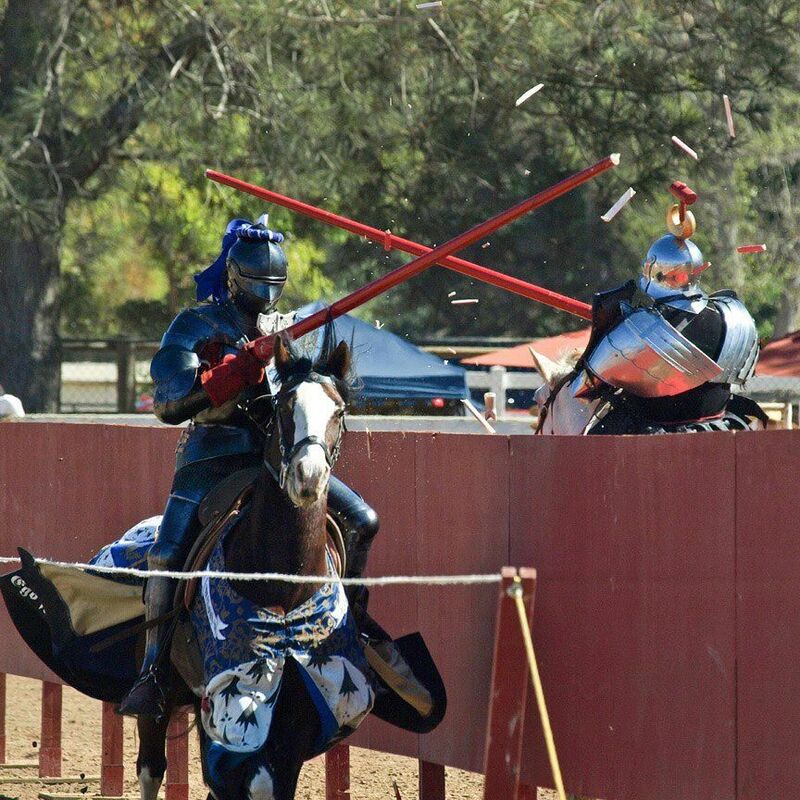 In 2009, he began jousting internationally at the Hackaland tournament in Belgium and has since jousted in France, Italy, England and the USA. Marc recently competed in "The Tournament of the Phoenix 2012" which took place in southern California, USA. He has graciously allowed "The Jousting Life" to post his comments about "The Tournament of the Phoenix". Most of the time, jousting is a sport with the goal of becoming the best there is in a tournament. But on rare occasions like in "The Tournament of the Phoenix", the competition can turn in to something greater than just scoring points. During the first day after the first session of joust, I got myself injured in the poleaxe duels and found myself unable to joust for the second session. To make sure that I was not left behind on the scoring, Jeffrey Hedgecock and Toby Capwell took it upon themselves to make all the runs that I was suppose to do. Toby went even further by wearing my shield and broke more lances for me than he did for himself. The next day, Jeffrey scored points for Steve "The Hammer" Mallet who had no horse for one session, and by doing that Jeffrey provided the victory to "The Hammer" by 1 point over himself. Steve, unsatisfied with the final score, called a draw to put Jeffrey and himself both at the first place. I have the privilege to joust all over the world, but my privilege is greater when I am the witness of such good quality of men and tournament and it keeps me going that kind of path. Marc Hamel jousts Steve Mallett at "The Tournament of the Phonix 2012"